Jim Murphy awarded today’s gift certificate to Dave Murphy for returning to the luncheon meeting. Oratorical – Rick McKernan encourages members to get the word out to local kids. The prizes are nominal at the local level but the winner computes at the District Level for $2,500 with the opportunity to compete at the international level for total winnings of $22,500. Over the past couple of years Ashland youths have taken home the prize at the district level. Food Bank – Larry Fick Opportunities exist for members to volunteer from 2-4:00 pm Mondays with other Optimists. Once registered members can volunteer at any time the Food Bank is open and our club still gets credit for volunteer hours. The is a critical need for volunteers now as the Food Bank received 32 pallets of food that must be packaged, labeled and frozen by February 15. 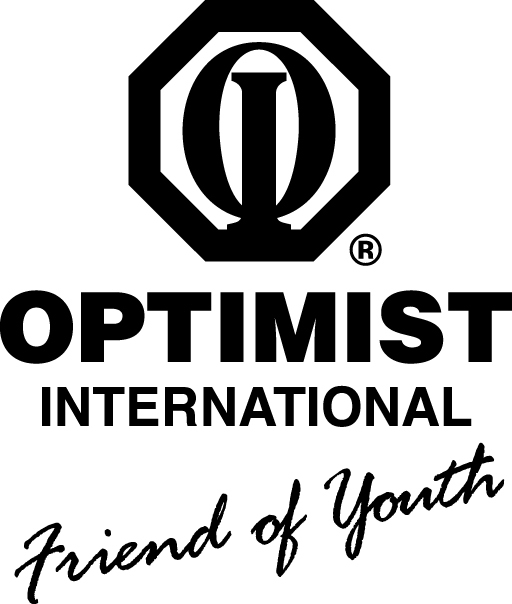 Carl Scott, Feb 2nd Optimist Day, Members are encouraged to wear your Optimist gear (hat, shirt etc.) and circulate on this day. Club Chili Cook Off – Max Miller announce there are 7 chili makers to compete to capture the best chili makers from the reigning champion, Charlie Langreder. The dinner will be at 6:00 at the clubhouse on February 9. The cost is $10.00 per person. Max will provide the cornbread and blackberry cobbler. Bike Safety May 20th – Mary Dewey reported this event will be announce in Leisure Times, the publication of the Columbia Parks and Recreation and that Walt’s Bike Shop will be a partner agreeing to perform bike repairs and contribute to the bike give away. Rootin Tootin Chili Cookoff – Jake – Scott Stager has agreed to honcho this event. Volunteers are still needed to chop vegies and open cans. No prior cooking experience needed. He circulated a sign-up sheet for additional volunteers. Kids First Garage Sale – Feb 25th Donations can be made at the Sunrise clubhouse on Parker. Dorcas – Letter from the Board. Ed Musterman read the letter he composed at the Board’s request commending her for the al support work she performed to assist her husband, Red Leighton, in his individual sales of Koeze Nuts (over $1 million during the course of 20 years). Ed thanked her for her work as did the membership with a standing ovation. Ms. Clark, Director of the CRC, has been with the CRC with a brief intermission to work at William Wood College since 1994. She has extensive experience in community relations. She explained the CRC is an independent agency that works closely with Ellis Fischel Cancer Center of University Hospitals. She brought with her three of her staff, Jack Bozarth, Director of Development, Alison Fea, Lab Manager and Alycia MeGee, Administrative Assistant. Alison Fea discussed the recent cancer breakthrough research and publication of a cancer-targeting bacteria. Researchers at the CRC have successfully used a cancer targeting Salmonella to ignore benign tumors while attaching to cancerous tumors without breaking the caner shell. They are in the process of deciphering the attraction between salmonella and the cancer cell through gene sequencing. Simultaneously they are working to find a way to attach known cancer destroying drug, Violacein, and the tumor destroying rattlesnake venom, Mojastin, to their salmonella. The study offers promise to a cure for prostate and pancreatic cancers. They will soon be working with the scientists at the MU Veterinary School of Medicine to advance the research to larger animals in the hope of moving their research on to clinical trials and ultimately to viable cancer cure. Jack Bozarth, is a retired pilot from both the US Air Force and a commercial airline. In his responsibilities as Development Director, he is the chief fund raiser. While referencing the work of Jonas Salk’s work on the polio vaccine to eradicate polio, he anticipates cancer research will eventually have a similar effect on cancer. He emphasized the need to keep funding cancer research to find a cure for cancer. “A 1% reduction in cancer is worth $500 billion.” The CRC offers a great bang for the buck. With only 20% administrative costs, the $700,000 CRC annual budget goes directly for research in cancer cures. The national cancer organization has higher administrative and public awareness cost that limit the percentage of money going to research. Alycia McGee captured picture of the attentive standing room only audience during the presentations and Q & A period.